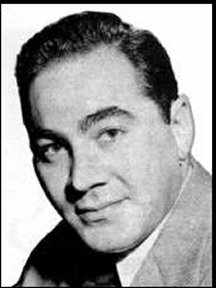 Daniel Barry (July 11, 1923 – January 25, 1997) Dan Barry, born in Long Branch, New Jersey, began his career working in the comic book field through George and Alan Mandel in 1941. He worked on a variety of comics including Airboy, Doc Savage and numerous comic characters. 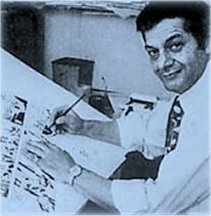 Along with Leonard Starr, Stan Drake and his brother Sy Barry, he helped define and exemplify a particular kind of "New York Slick" style which was characterized by careful attention to lines, a realistic style, and the clear delineation of textures. In 1943 he entered the Air Force, where he drew a comic strip for a service magazine. 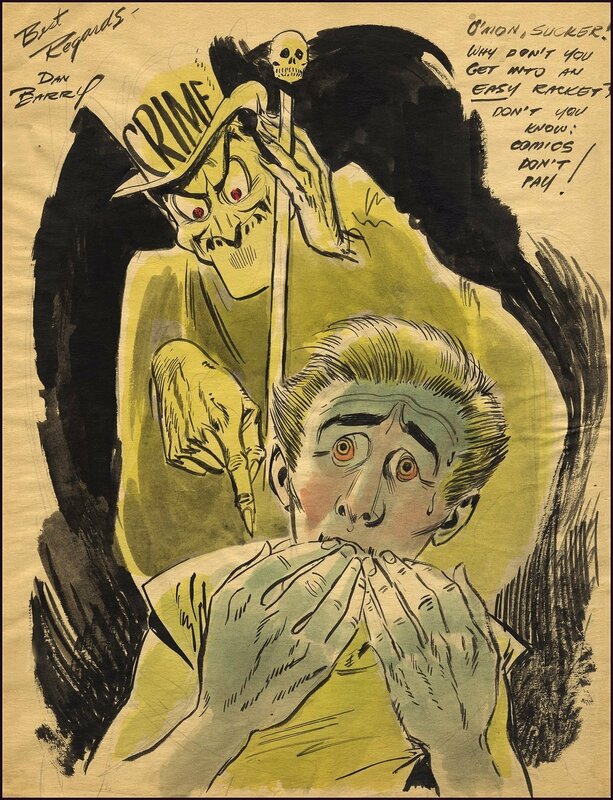 After the war, he returned to the comics field, drawing stories for titles like Crimebusters and The Heap. He did freelance work for several magazines and built up a business producing advertising and educational comics. His client list included Blue Cross, International Harvester, the National Association of Manufacturers andthe Army Reorientation Branch. From 1947-48 he drew the Tarzan daily strip, then in 1951 revived the Flash Gordon daily strip. Dan Barry was one of the first artists to regularly get credit in comics for his work in the 50s, a time when that didn't happen often.When artist Mac Raboy died in 1967, Barry assumed responsibility of the Flash Gordon Sunday strip also. He created the official poster for the 1980 movie version of Flash Gordon. 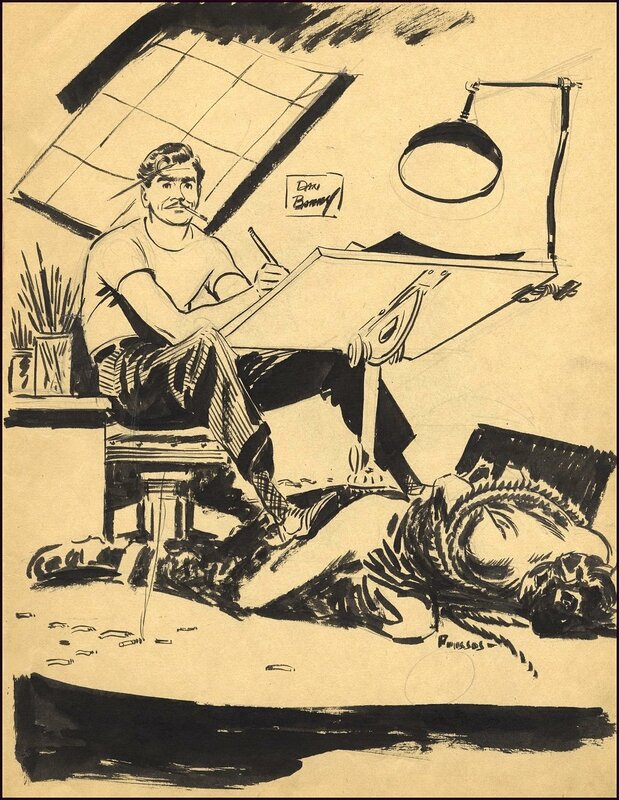 His last work was for Dark Horse Comics, where he wrote and drew many Indiana Jones and Predator comic books. Dan Barry's brother, Sy Barry, was an artist on The Phantom. 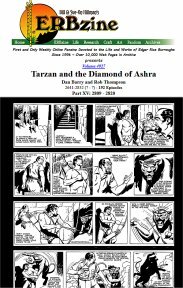 After Edgar Rice Burroughs' return to Tarzana from the WWII Pacific Theatre he resumed his interest and input for the Tarzan strips. He had read very fews strips during the war years and now the quality and direction taken by the strips had really angered him. He expressed his dissatisfaction with Maxon's work on the strip. He suggested to United Feature Syndicate that the scripting of the dailies be taken over by a professional writer and not left to artist Maxon. He wanted new writers and new artists. 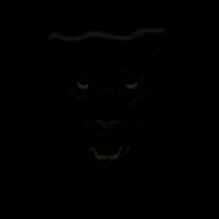 He was disgusted with the way the characters he had created were being represented: "It is not a Tarzan strip. Practically no animals and no jungle." He went on to say, "I feel that this work casts such a reflection upon my name and my character that it may work a great deal of harm to both my books and my pictures. I can readily understand that anyone reading these comic strips in a newspaper would never buy a Burroughs book." Ed recommended that a writer he had previously used be hired and was hoping that Hogarth, who was already doing the Sundays, could be persuaded to do the dailies as well. Maxon should be paid off and released as soon as possible. Thompson's method of writing for both the daily and Sunday pages was to present a story synopsis to Ed for approval, and then break it down into actions and captions. The approved scripts woiuld then be forwarded to UFS. The first continuity was based on Tarzan at the Earth's Core although following Ed's suggestion none of the actual events from the novel were used. . Burne Hogarth, however, declined to take on the dailies other than through a supervisory capacity. He enlisted and coached artist Dan Barry and got him started by penciled the first few weeks - which Barry inked. Dan Barry then took over the entire dailies project. Ed had sent Hogarth a copy of the novel so that he could get an idea as to the proper look of Pellucidar and the characters. He was very disappointed when it became obvious that Hogarth had not read the book and the characters that he had designed for Barry to draw were totally unlike those described by ERB. Hogarth had even ignored the costumes that Thompson had described in the script. Ed complained that the Pellucidarians from his books were simlar to men of the old Stone Age -- and did not have neatly trimmed mustaches and beards, nor did they wear ornate turbans and robes. They wore G-strings made from animal hides. Hogarth, ignoring the fact that he was hired to follow Ed's descriptions and to illustrate the approved script, went into one of his characteristic verbose harangues criticising both Ed's conception and scriptwriter Thompson's abilities. Thompson's next two continuities were loosely based on radio scripts he had previously done: Tarzan and the Diamond of Asher and Tarzan and the Fires of Tohr (retitled Tarzan and the White Men of Kohr with art ghosted by John Lehti for a few weeks). This was the last series that Dan Barry did. After this the Thompson scripts were illustrated by Paul Reinman and Nick Cardy. Rob Thompson completed his run -- up until ERB's death in March 1950 -- with an original script: Tarzan and the Slavers. His Tarzan and the Cavemen of Vaar was based on a 1945 radio serial synopsis that he had presented to ERB, Inc., but was never used (he had originally turned this into a script for Dell Tarzan Comic No. 1: Tarzan and the White Savages of Vari). Next came Tarzan and the Leopard Claws based on Tarzan and the Leopard Men. And finally, Tarzan and the Elephant Men of Cathne adapted from Tarzan and the City of Gold.